Replicate the unique technique of the exclusive Sarah Chapman Skinesis facial massage with the Facialift. This innovative device allows you to achieve the results of a professional facial in your own home. The Sarah Chapman Skinesis Facialift applies a precision massage technique that promotes the flow of nutrients and oxygen to the skin in order to achieve a healthy, rosy glow. With 8 massage heads and 48 nodules that gently reshape and refine the skin, The Facialift drains toxins, relieves tension, reduces puffiness and promotes blood flow to reveal a dramatically more toned and lifted you. The Facialift is perfectly designed to accompany either Ultimate Cleanse for a deep pore cleanse, or Overnight Facial to enhance its radiance promoting and rejuvenating results. 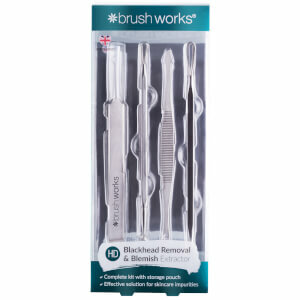 Save 20% on Brushworks.Discount already taken from the RRP. Offer valid for a limited time only. 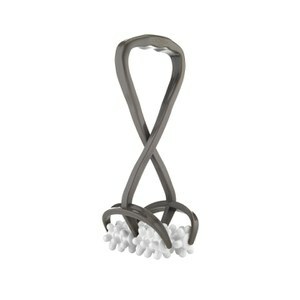 I really like this tool and use it with the overnight facial. It’s gives quite a vigorous massage which I like. I've been using it for a couple months by now, mostly in the evening, sometimes twice a day. And it leaves very nice feeling on my skin. After using the Facialift my face all looks warmed up, and I believe my serums and oils work better when apply after the massage. The massager is quite tight but after a few times I got used to it. Excellent - really helps you to massage your face, and particularly your jawline when you use Sarah Chapman’s Overnight Facial. Makes your face have that lovely pink glow too. This definitely hurts to use but it's the kind of pain you know is doing good. Great for releasing jaw tension and gives you lovely flushed cheeks. It definitely improves circulation and helps with knots in the neck as well. It’s an implement of torture but once you get used to it you won’t put it down, only had it a week and can already see a difference in my skin, definitely firms and gets the blood flowing and best of all works out knots in my jaw muscle! Working very well doing exactly what I expected.